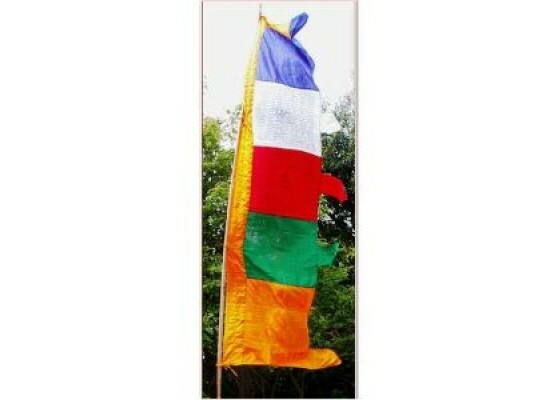 Very finest quality vertical silk prayer flags, 50cm x 210cm (83" x 25"). 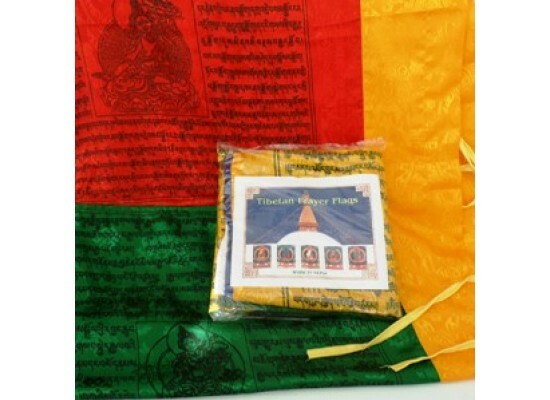 Prayer flags consist of auspicious mantras syllables and prayers which are wood block printed onto squares of cotton in each of the 5 Buddha colours. The image of the Windhorse is featured, with the 4 supernatural creatures at each corner: the dragon, the garuda, the snow lion and the tiger. The horse gallops like the wind carrying the wish fulfilling jewel. It radiates peace, prosperity, knowledge, success, long life, protection and health. The windhorse symbolises positive personal power which eliminates all hindrances caused by illness, accidents, malign spirits and astrological auspiciousness, bestowing personal power and good luck. 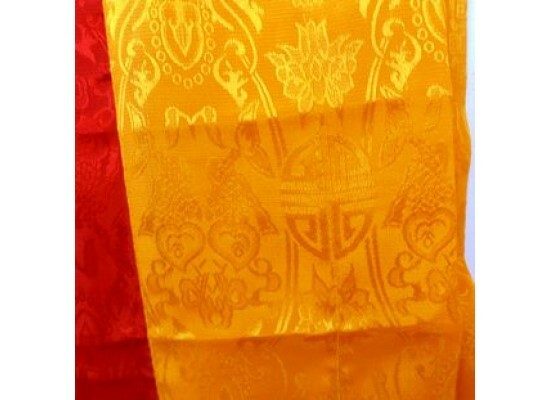 Other flags show images of the Tibetan Buddhist deities and their specific prayer.